Summer makes it easy to get out and be active with great weather but that great weather can also bring the need for a sweet treat – hello, ice cream man! Say yes to the temptation by satisfying your sweet tooth with one of these quick and healthy sweet treat ideas. Place strawberries and banana in a blender. Blend until smooth, occasionally pulsing the blades to get a smooth consistency. Pour into a casserole dish and cover with a secure lid. Allow mixture to freeze for several hours. Allow sorbet to sit on the counter for 20 minutes to soften before serving. Frozen GrapesTake one bunch of green grapes and wash thoroughly. Remove grapes from the vine and arrange on a parchment-lined cookie sheet. Put cookie sheet flat in the freezer and allow to freeze for several hours. Frozen green grapes make for a fun, cool snack. Try this method with other fruit like blueberries, strawberries, or cut up peaches. Place dark chocolate chips in a small microwavable bowl. Microwave for 25 seconds and stir. Continue this until the chocolate is melted and smooth. Peel banana and cut into 1/3 inch slices. 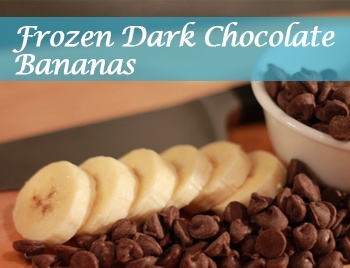 Carefully dip banana slices into the chocolate and then place them on a parchment-lined cookie sheet. Place cookie sheet in freezer and allow to freeze for a minimum of 3 hours. 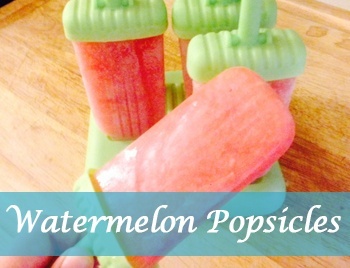 Watermelon PopsiclesSport&Health’s creative guru, Lizz, discovered this Watermelon Popsicle recipe by The Kitchn. This recipe is a great way to take advantage of the fresh watermelon that’s readily available. Per the author’s suggestion, make these popsicles the night before so they’re ready whenever you need to cool down! Fresh Fruit PopsiclesDon’t feel like making a sweet treat? 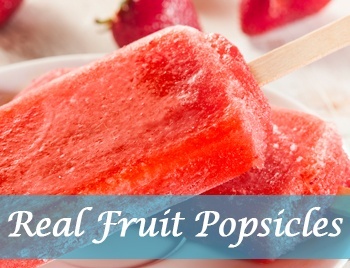 Our team loves to keep fresh fruit popsicles, like Dole Fresh Fruit Bars, in the freezer for a quick snack! We've put together a board of our favorite healthy summer recipes from great grills to light flavorful snacks. 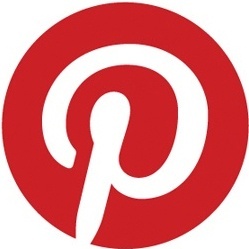 See what our team is cooking up this summer on Pinterest.